A & J Fencing is a family owned custom fencing company and deck builder that has been servicing Pleasant Hill and the East Bay area for over a decade. In addition to our hardworking employees, and high-quality redwood boards, we also have a 15-year warranty and maintenance program to deliver the highest in customer satisfaction. 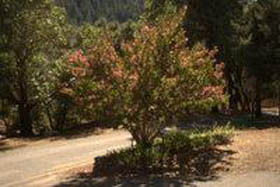 Pleasant Hill is located just south of our Walnut Creek office. It offers a wide range of shops, restaurants, biking and walking trails. Pleasant Hill’s diversity and small home-town charm make it an ideal place to live. Bringing family and friends together with farmers markets, parades, and lavish green parks keeps the community close. A & J Fencing plays a big role in helping to keep this lovely city modern and up to date. We receive a lot of request to help support the GREEN Pleasant Hill program by recycling all of the old fence material, using environmentally friendly pressure-treated wood, and using natural stain products to preserve the life of your fence. Instead of dumping your old materials into the local landfills A & J Fencing recycles them for a cleaner environment. We only use environmentally friendly pressure-treated wood and natural wood brown stain (ACQ) which contains no previously used copper arsenate. We are proud to service Pleasant Hill and encourage all of our future Pleasant Hill residents to contact us today for a free estimate. Contact us today about your Pleasant Hill fencing needs.